At Roots in the Cove, We Specialize in Unique, Colorful Fresh-Cut Flowers that Are a Perfect Fit whatever the Occasion. Stop by and Make Yourself at Home at Roots in the Cove... We Have Exactly What You Are Looking for! ROOTS IN THE COVE is a professional local florist proudly serving Roaring Spring, Pennsylvania and surrounding areas with over 18 years of floral design experience. Our friendly and knowledgeable staff is ready to assist you when you need flowers delivered locally or anywhere in the world. For your convenience, we also offer daily delivery service to local hospitals and funeral homes. We hope you enjoy your online shopping experience with secure 24-hour ordering at your fingertips. If preferred, you may call us to place orders direct at 814-224-5599. Call Your Roaring Spring, Pennsylvania One Stop Floral Stop... Roots in the Cove! Whether your wedding or party is formal or casual… A small gathering or the social event of the year… We can help you plan an event that's a "blooming" success. Wedding season is quickly approaching and dates are filling up fast, so call us in advance at Roots in the Cove 814-224-5599 and schedule your consultation today! 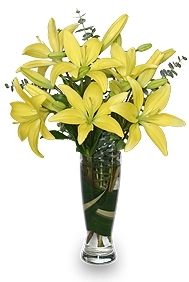 Express your heartfelt condolences with a unique and tasteful sympathy flower arrangement from Roots in the Cove. Remember, you can always depend on our staff to help you choose the most appropriate funeral flowers for a friend or loved one. 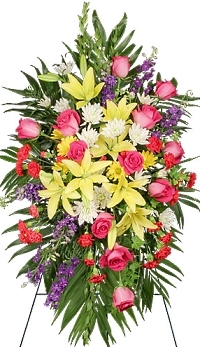 We will design and deliver an arrangement that best conveys your feelings of sympathy and serves as a floral tribute to the deceased. Some of our finest blooming plants and foliage plants are grown in our own greenhouse. Browse our wonderful selection of house plants, green plants, blooming plants and dish gardens for a gift that adds life to any room or office.